Instead of filling your medicine cabinet with a bunch of questionable pharmaceutical drugs that keep Big Pharma in business, why don’t you just grow your own inexpensive, natural healing herbs at home? This way, you’ll have your very own healing garden to keep doctor visits to a minimum, and you can sleep soundly knowing that you’re capable of taking your health into your own hands. Herbs are usually quite hearty as plants, and you can grow them in smaller spaces. These herbs can be grown outdoors or in containers on your patio. You can even grow them in your own kitchen if you prefer to keep your ‘natural medicine cabinet’ indoors. Here are 9 amazing healing herbs any novice gardener can grow. 1. Basil – Basil has numerous medicinal uses, from acting as a natural anti-inflammatory to reducing flatulence, and nausea. It also has mild antiseptic properties and can boost appetite. Basil can also be used ground up as a salve for minor cuts and scrapes. This plant is an annual,however, so you will need to replant it every year. 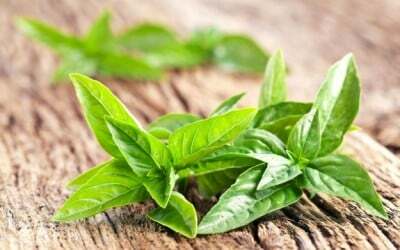 Check out some health benefits of basil here. 2. Ginkgo Biloba – Ginkgo Biloba is the herb to keep your brain sharp as a tack. It aids in mental alertness while fighting viral and respiratory infections. It has been called a living fossil with a plant heritage that goes back more than 270 million years. Both the stem and leaves can be used for their medicinal qualities. 3. Ma-huang – This Chinese herb is wonderful for boosting mood and reducing fatigue. It has also been known to aid in weight loss due to appetite suppression. 4. Red Clover – A wonderful herb that relieves both arthritis symptoms and headaches, red clover has also been used to treat menopausal symptoms due to its isoflavones compounds. It is a perennial with beautiful pink bursts for flowers. 5. German Chomomile – This herb can provide relief from constipation, anxiety and sleeplessness. It lowers stress and reduces heartburn. An easy-to-grow plant, chamomile can help treat stress without the need for anti-depressants or sleeping pills. Check out other chamomile benefits here. 6. Lemon Balm – Since most disease is eventually an outgrowth of stress, Lemon Balm is also included in this list as a great stress-reducer. Harnessing medicinal uses, lemon balm is a calming herb that has been used since the Middle Ages. It eases pain, promotes good sleep and can give someone an appetite back if they’ve lost their desire to eat. It can also treat some venomous insect bites and stings. 7. Feverfew – A perennial plant that has been used in European folk remedies for centuries, this flower lives up to its name by reducing a fever. It is a wonderful herb for migraines as well. It’s said that chewing on the leaves can reduce the symptoms of arthritis. 9. Dong Quai – This Chinese herb can help to restore hormonal balance in the body and improves menstruation. It aids in recovery from childbirth and supports women throughout their pregnancy. It also aids in nerve pain, headache relief, and strengthening the blood for those who suffer form heart conditions. Dong Qaui, meaning ‘return to order’, is in the same family as parsley and carrots. Legal, shemlegal, test this plant and get all the LIES obliterated, This is one miracle plant and we need it in medicine NOW !!!! Turmeric (curcumin) is the perennial plant of the ginger family. THE most importance natural herb of all is TURMERIC (CURCUMIN). Turmeric is the most studied herb on the planet and, based on clinical studies, "may have the most health benefits of any (single) natural herb". Turmeric also has the amazing ability to target multiple target ailments simultaneously. However, turmeric has poor bioavailability – if taken by itself. Therefore, if turmeric is fortified with 'pipertine', the active compound in black pepper, turmeric becomes THE "Super Herb" — with superior bioavailability (absorption into the body). Turmeric-Plus (R) is turmeric (curcumin) fortified with piperine = "The Super Dietary Supplement". Turmeric-Plus.com for more information on this truly amazing "super dietary supplement" You can feel the difference. Turmeric-Plus has been discussed on "The Dr. Bob Martin Show" on KABC-790 AM talk radio on Sunday mornings from 10-11am (Los Angeles). You failed to mention THE super-med plant cannabis. Still not legal in all fifty states yet. YOU FORGOT to mention the best and more important ones..: THYME, OREGANO, LAVENDER, CORIANDER / CILANTRO (SKIN),…. ARE MORE IMPORTANT AND better in PROPERTIES THAN Basil. Ginger, TRUE Cinnamon, Common Yarrow, Golden Yarrow, Calendula, Marigolds, Peppermint, Sage, Yellow Evening Primrose, . . . This list can go on forever! The advantage of this book is that it was written by an actual medical doctor who learned about these herbs through his own studies! He later supported the natural remedies more so than the “orthodox medicine” he was originally educated in. Amazing, just how many of these important studies and revelations that “Nature’s Medicine” was the original medicine – AND the BEST medicine – were written and published by MEDICAL DOCTORS! – the usual spin-off by Paul Harvey.